White Curved L-Shaped Glass Top Reception Desk is perfect for salons, spas, wellness centers, or any business looking for an ultra-modern front lobby desk at an incredibly low price! Contemporary features include silver perforated steel front panels, frosted glass counter tops and white laminate desktops and sides. IN STOCK! 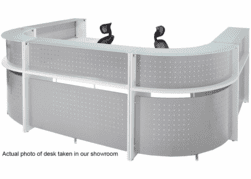 White Curved L-Shaped Glass Top Reception Desk is spacious enough for two receptionists. It includes two Y11526 � White 55"W Desks, two Y11527- White 55"W Glass Top Reception Counters, one Y11524 � White 90 Degree Corner Desk and one Y11525 � White 90 Degree Corner Desk Reception Counter. 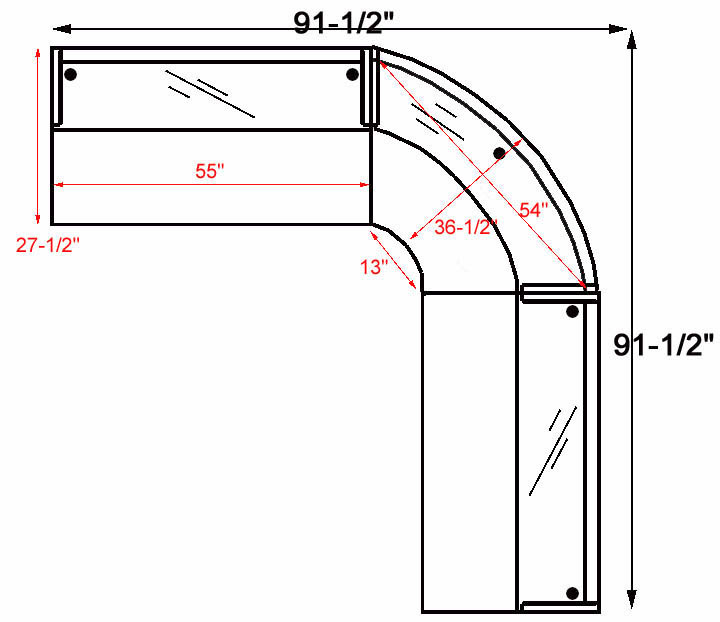 Reception Desk requires a floorspace of 91-1/2"W x 91-1/2"D. Measures 43-1/2"H from top of counter to floor. Desk ships unassembled for safety in transit. Shipping weight 344 lbs. PRICE INCLUDES SHIPPING! (Truck shipment - see Terms & Conditions). 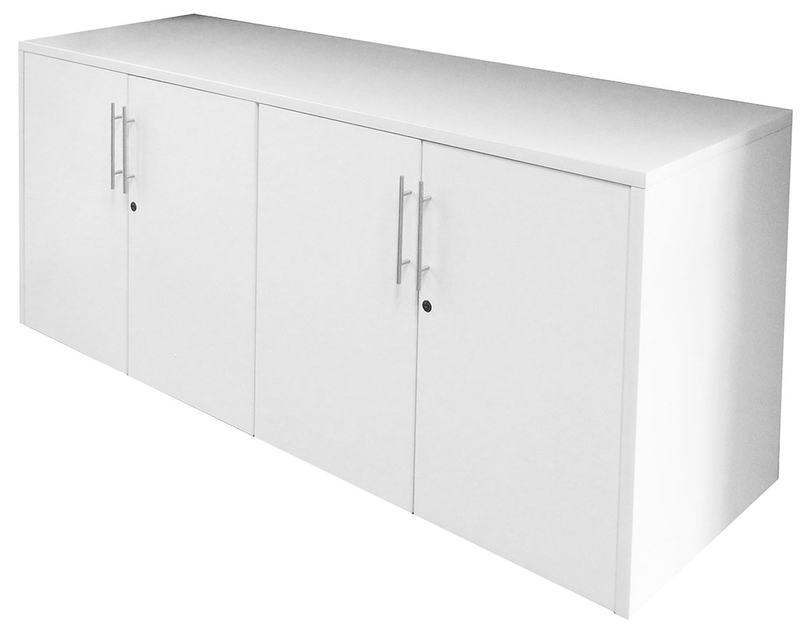 * Crisp white laminate worksurfaces and side panels. 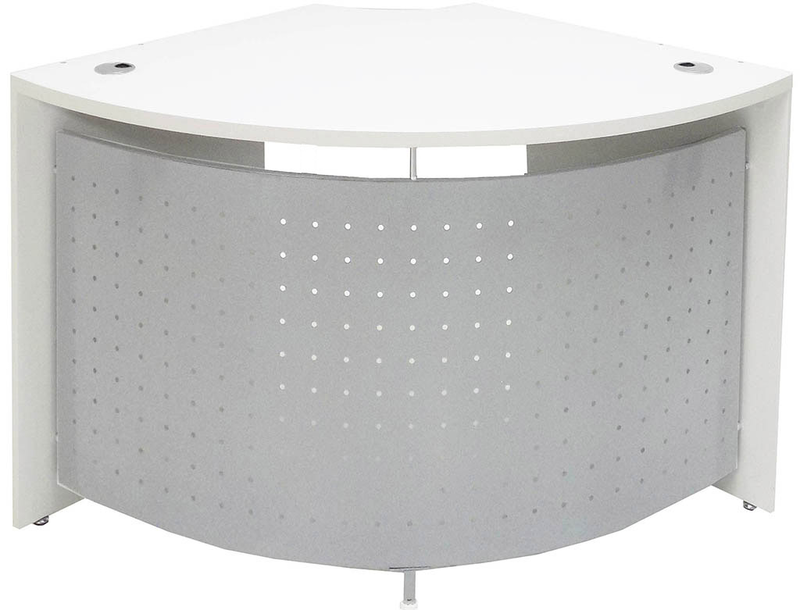 * Silver perforated metal front panels connect with silver posts to side panels for a 'floating' appearance. 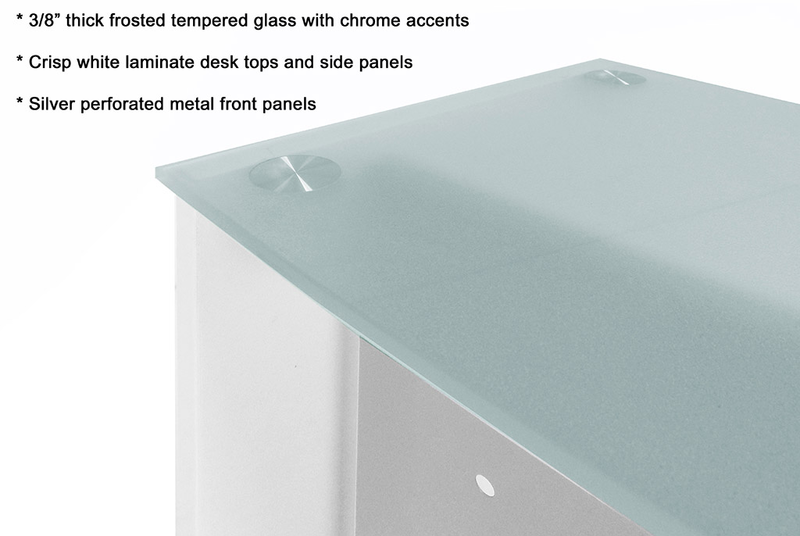 * Frosted glass counter top sits on silver supports. Glass is 3/8" thick tempered glass. Counter tops are 12" deep. * Modular design! Order as shown above or mix and match separate pieces (sold below) to make your own unique layout! * Desks are freestanding! Can be attached together, or separated and rearranged! * Desktops are 24-1/2" from riser panel to edge of desk. * Grommets included with each desk. * Need storage? 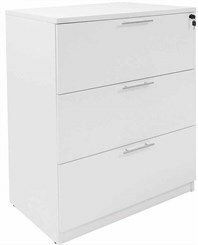 Choose from several filing units, cabinets and bookcases below! Pair with 55"W desks to make 90 degree turns in your desk configuration and add curvature to your desk. Glasstop riser sold separately below. 27-1/2" deep work surface (without riser) 36-1/2" radius. Diagonal measurement is 52"W. Desk is 29-1/2" high. Ships unassembled. Shipping weight 77 lbs. PRICE INCLUDES SHIPPING! (Truck shipment - see Terms & Conditions). IN STOCK! Connects to Y11524 White 90 Degree Corner Desk. Reception counter is 14"H which will make your transaction counter a comfortable 43-1/2"H for your guests. 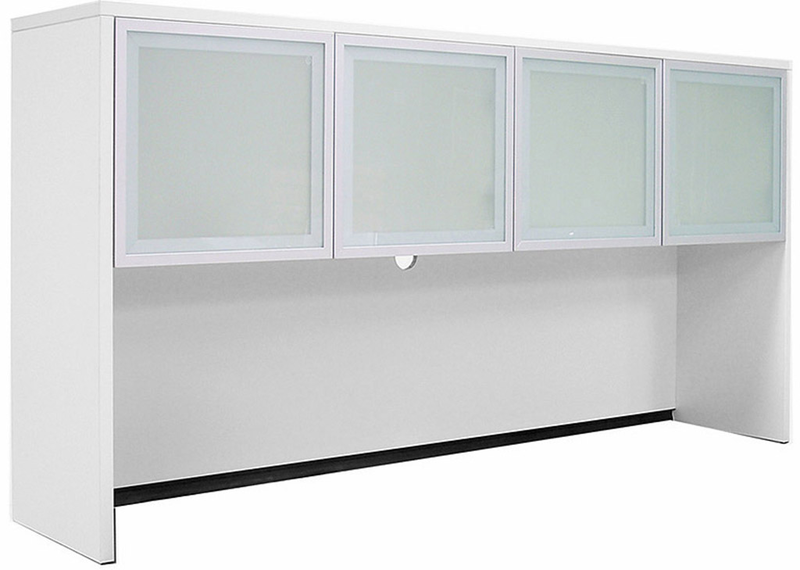 Frosted tempered glass counter is 12"D. White laminate side supports, curved perforated gray metal front panel. Ships unassembled. Shipping weight 31 lbs. PRICE INCLUDES SHIPPING! (Truck shipment - see Terms & Conditions). IN STOCK! Use as an office desk or as part of your reception station. 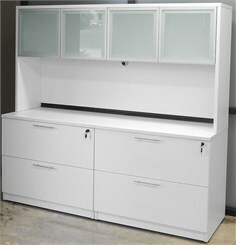 White high pressure laminate desk top and side panels. Gray perforated steel front panel. Desktop includes two grommets for wire management. 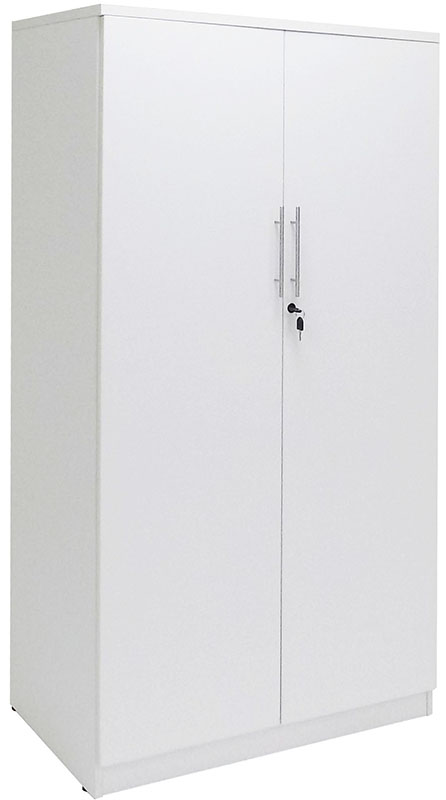 Measures 55"W x 27-1/2"D x 29-1/2"H overall. Ships unassembled. Shipping weight 83 lbs. PRICE INCLUDES SHIPPING! (Truck shipment - see Terms & Conditions.) IN STOCK! 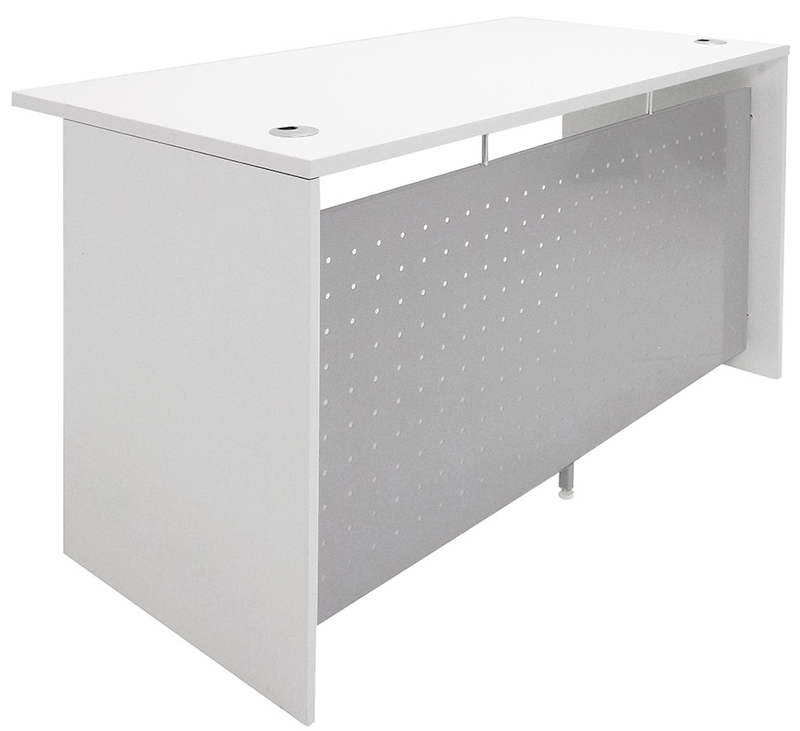 Connect to Y11526 White 55"W Desk to add a reception counter and privacy. Reception counter is 14"H which will make your transaction counter a comfortable 43-1/2�H for your guests. 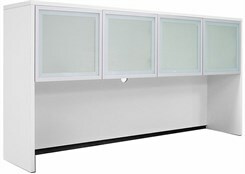 Frosted tempered glass counter is 12"D. White laminate side supports, perforated gray metal front panel. Ships unassembled. Shipping weight 35 lbs. PRICE INCLUDES SHIPPING! (Truck shipment - see Terms & Conditions). IN STOCK! 1 - 2 $99.00 ea. Instantly add power to your desktop! 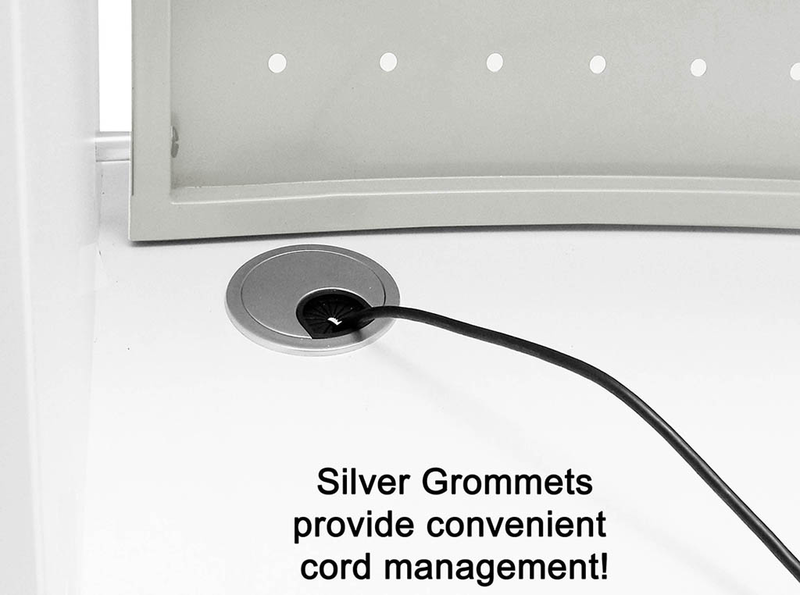 Power strip fits into the grommet holes of any desk on this page. Includes four AC power outlets, 2 USB ports and a 10' power cord. Also includes a 15 Amp sliding switch/reset breaker and red LED surge indicator. UL/cUL listed. 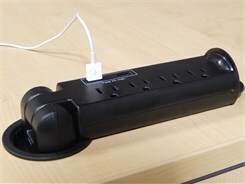 Pop-Up Power Strip w/ USB measure 11-5/8" long by 2" wide. 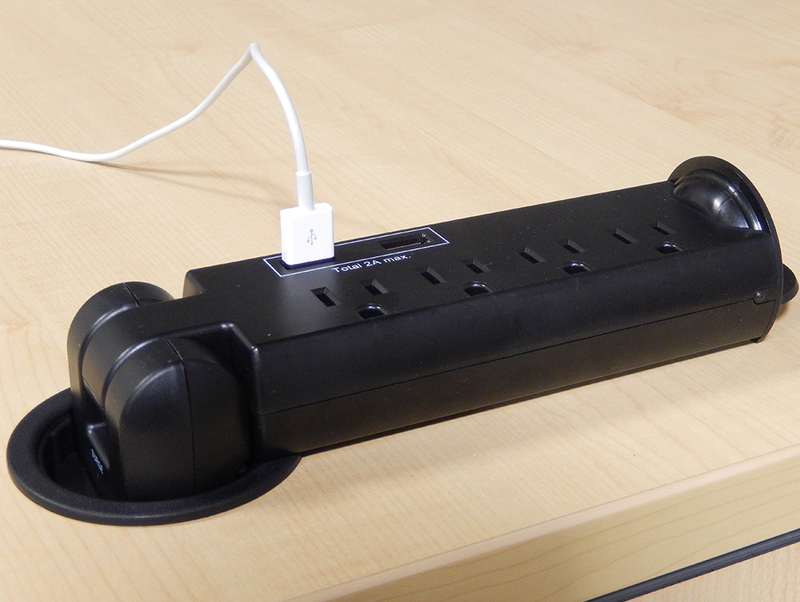 When folded, power strip will occupy 8" x 2" of desktop space. PRICE INCLUDES SHIPPING! IN STOCK! 1 - 2 $229.00 ea. 3 - 9 $219.00 ea. Features a gray paint finish to match the metal panels of the desks. 24-1/4" height makes this easy to tuck under any desk. All three drawers lock. Features ball bearing full extension drawer slides for smooth operation. Accepts both letter and legal hanging files. 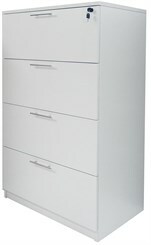 Includes convenient supply sorter and drawer divider. Measures 15-3/4"W x 20-1/2"D x 24-1/4"H overall. SHIPS FULLY ASSEMBLED - just attach casters. Shipping weight 55 lbs. PRICE INCLUDES SHIPPING! IN STOCK! 1 - 2 $599.00 ea. Store binders, office supplies and more in this beautiful accent piece. Provides lockable storage with 2 interior height adjustable shelves. Measures 71"W x 23-3/4"D x 30"H overall. Ships unassembled. Shipping weight 216 lbs. PRICE INCLUDES SHIPPING! (Truck shipment - see Terms & Conditions). IN STOCK! 1 - 2 $499.00 ea. Add to your Y10919 4-Door Credenza to provide a beautiful focal point to your reception area as well as convenient overhead storage. Frosted glass doors hinge on fully adjustable hardware. Grommet hole in back panel as well as cord access along length of back. Measures 71"W x 15"D x 36-1/2"H overall. 19" clearance under doors. Ships unassembled. Shipping weight 163 lbs. PRICE INCLUDES SHIPPING! (Truck shipment - see Terms & Conditions). IN STOCK! Tackable board wrapped in black fabric adheres to back panel of Storage Hutch with industrial 2-sided tape. Measures 68-1/2"W x 15-3/4"H. Shipping weight 6 lbs. PRICE INCLUDES SHIPPING! IN STOCK! 1 - 2 $1,649.00 ea. Includes two White Lateral Files (No. 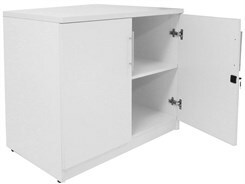 Y10817) and White Glass Door Hutch (No. Y10815) as described above. Measures 71"W x 22"D x 66-1/2"H overall. Shipping weight 489 lbs. PRICE INCLUDES SHIPPING! (Truck shipment - see Terms & Conditions). IN STOCK! Locking storage for both letter and legal size files. Full extension ball-bearing drawer slides easily handle full capacity. Ships assembled. Measures 35-1/2"W x 22"D x 30"H overall. Shipping weight 163 lbs. PRICE INCLUDES SHIPPING! (Truck shipment - see Terms & Conditions). IN STOCK! 1 - 2 $999.00 ea. 42" height makes a convenient worksurface! Accepts both letter and legal size files. Full extension ball-bearing drawer slides. Measures 35-1/2"W x 22"D x 41-3/4"H. Ships fully assembled! Shipping weight 220 lbs. PRICE INCLUDES SHIPPING! (Truck shipment - see Terms & Conditions). IN STOCK! 1 - 2 $1,299.00 ea. 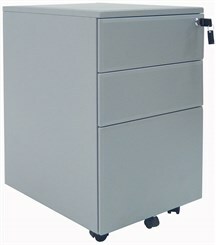 Provides 10 linear feet of letter or legal file space in less than 6 square feet of floor space! Includes hardware to accept letter and legal size hanging files. 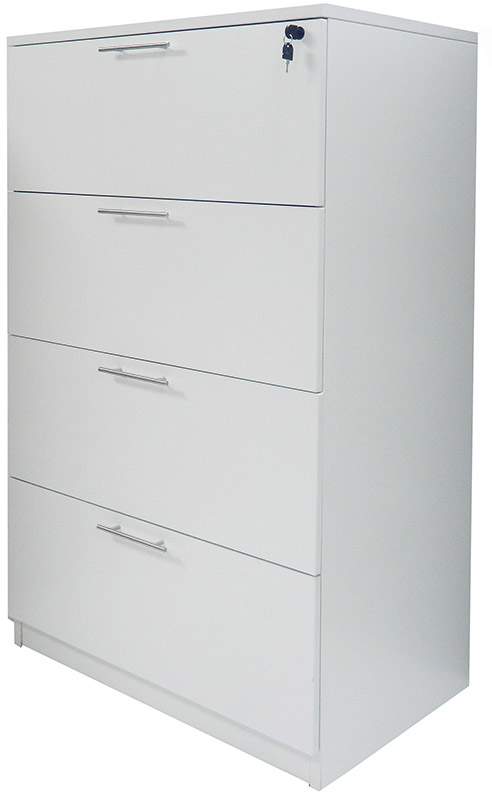 All drawers feature all metal, full extension ball-bearing drawer slides. 150 lbs weight capacity per drawer! Top two file drawers feature anti-tip mechanism. Fully locking file includes a set of two keys. Leveling glides included. SHIPS FULLY ASSEMBLED! Measures 35-1/2"W x 22"D x 54-1/2"H overall. Shipping weight 264 lbs. PRICE INCLUDES SHIPPING! (Truck shipment - see Terms & Conditions). IN STOCK! 1 - 2 $399.00 ea. 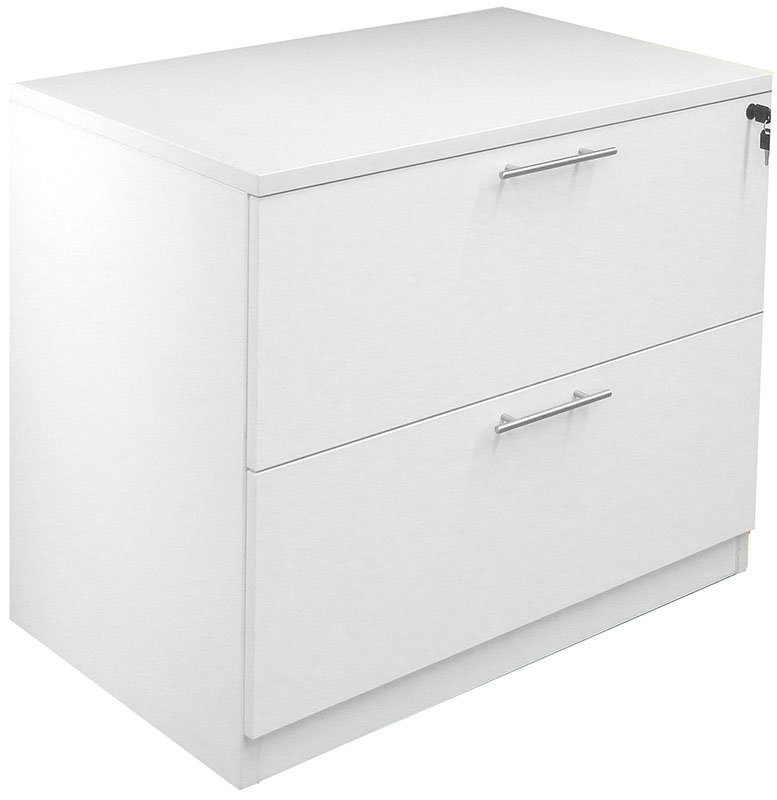 Securely store binders and office supplies in this locking two-door cabinet. Includes one interior fixed height shelf. 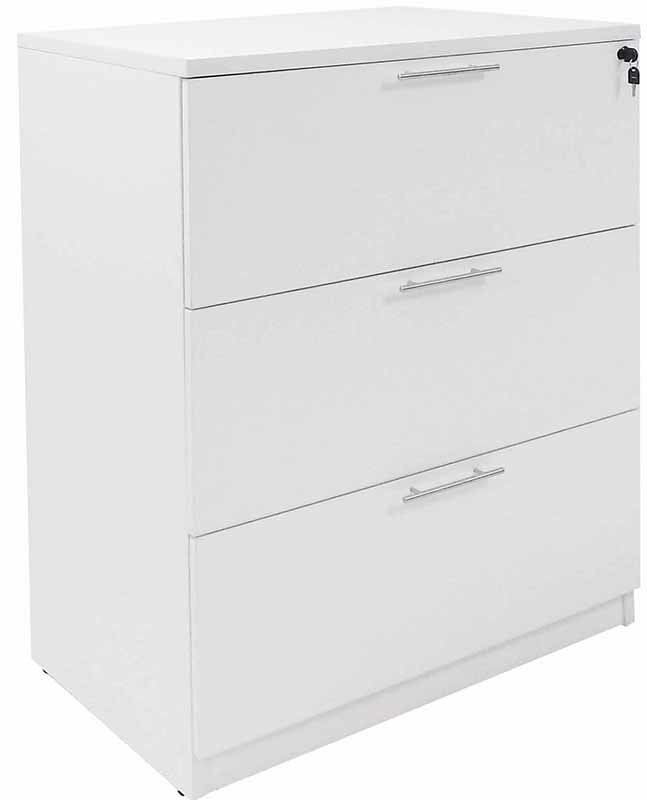 Cabinet stands at desk height (29-1/2"H) so it can be used for additional work space or as a printer stand. Measures 35-1/2"W x 22"D x 29-1/2"H overall. Ships unassembled. Shipping weight 135 lbs. PRICE INCLUDES SHIPPING! (Truck shipment - see Terms & Conditions). IN STOCK! 1 - 2 $299.00 ea. Add convenient open storage to either the 2-drawer lateral file or 2-door cabinet. Includes one fixed height and one adjustable shelf. Measures 35-1/2"W x 15"D x 36-1/2"H overall. Ships unassembled. Shipping weight 117 lbs. PRICE INCLUDES SHIPPING! (Truck shipment - see Terms & Conditions). IN STOCK! 1 - 2 $349.00 ea. Matching bookcase for binder storage. 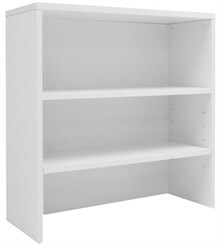 Includes two fixed height shelves and three adjustable height shelves. Measures 31-1/2"W x 13-3/4"D x 71"H. Ships unassembled. Shipping weight 125 lbs. PRICE INCLUDES SHIPPING! (Truck shipment - see Terms & Conditions). IN STOCK! 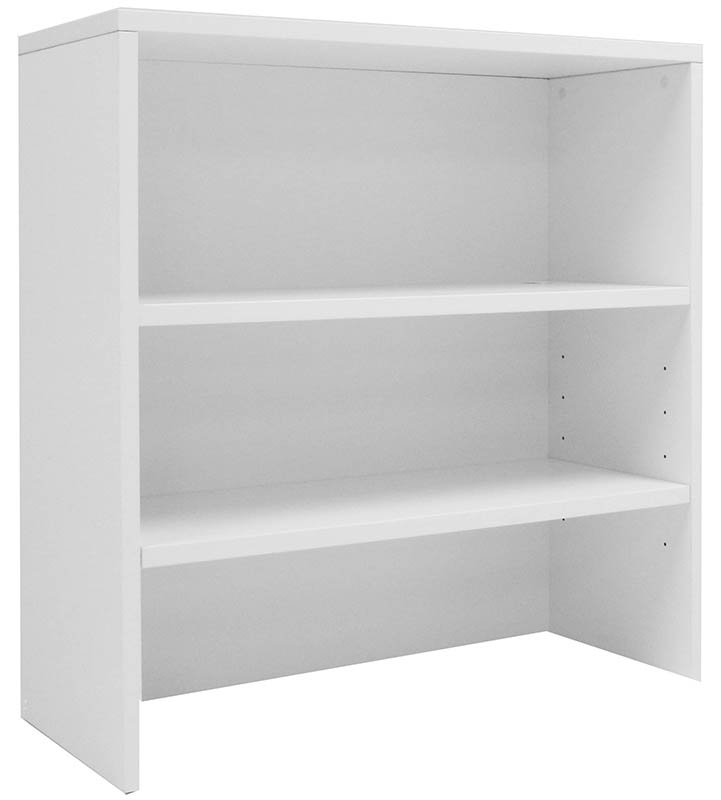 Includes bottom and middle fixed height shelves and two adjustable shelves. Measures 35-1/2"W x 22"D x 65-1/2"H. Ships unassembled. Shipping weight 270 lbs. PRICE INCLUDES SHIPPING! (Truck shipment - see Terms & Conditions). IN STOCK!